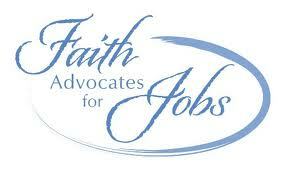 The Faith Advocates for Jobs website is up and running: www.faithadvocatesforjobs.wordpress.com. Please check it out. It contains all you need to know about FAJ and how you and your congregation can participate in their campaign to support the unemployed and the underemployed. Advocate for policies that will put people back to work and help transform our nation’s struggling economy! The unemployed and their families need you.